"I am writing this letter to let you know how pleased I was with the service I received from Plasma Technologies with regards to the repair of the CNC Plasma Cutter at Somerville High School. I have had the machine in our department since 2005. During that period of time, I have had several issues with hardware and software. Plasma Technologies have been an excellent resource and assisted with the repair on more than one occasion. I feel I can always count on Plasma Technologies to respond in a very timely manner. I really appreciate this since it is problematic to have the students be without the use of this equipment for any extended period of time. Your expertise and excellent customer service is always appreciated!" 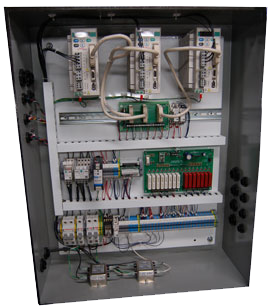 "We have utilized Plasma Technologies Drive Systems for over 15 years. 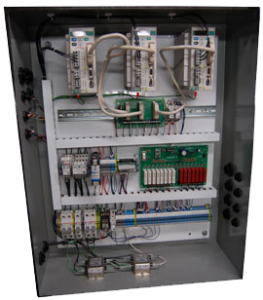 The reliability, versatility, and quality of their systems are unmatched by any in the market today." Jonathan White, President of Plasma Craft, Inc.
"In Reference to my business with Plasma Technologies. I would be happy to tell the world that Mr. Alan Bradford is the most knowledgeable person in the industry and can assist in retrofitting any plasma table we could offer. His background in the Hypertherm products make him a valuable contact for Total Welding Supply. In my 30 years in the industry with the reputation we have developed, I would feel comfortable having Alan work for my company on any of my accounts." "It has been my pleasure to do business with Plasma Technologies for almost 20 years. Their products are the best value, their technical expertise is outstanding, and they deliver it all with good old-fashioned customer service. I highly recommend Plasma Technologies to anyone who wants to make money with their cutting machines." "We have been working with Plasma Technologies for over 5 years and have used their products on numerous retrofits. Their systems are engineered to be easily installed and interfaced, saving us in-house engineering and production time which allows our field technicians to be more productive. While we have worked with many integrators in the past, the personal service and attention we have received has been second to none. We take pride in our reputation and we have received excellent functionality, reliability and support with the Plasma Technologies systems and we would highly recommend them to anyone."